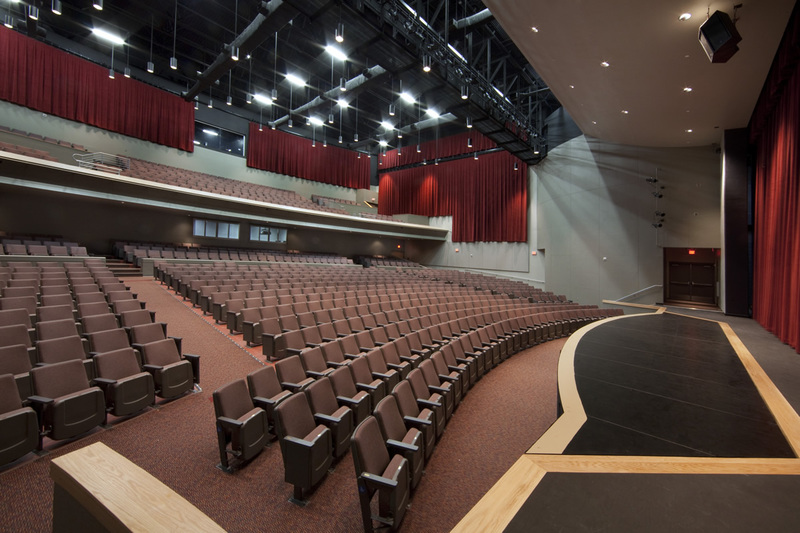 In 2009 the faculty and staff were thrilled to move to our beautiful new campus that included a brand new and greatly needed 1,000+ seat auditorium. 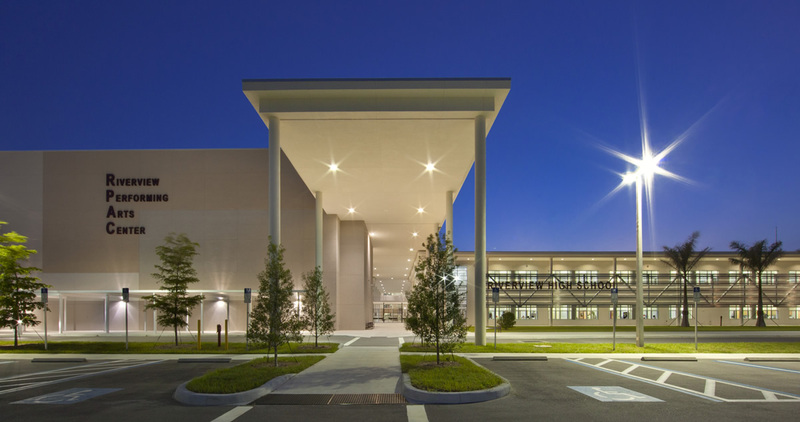 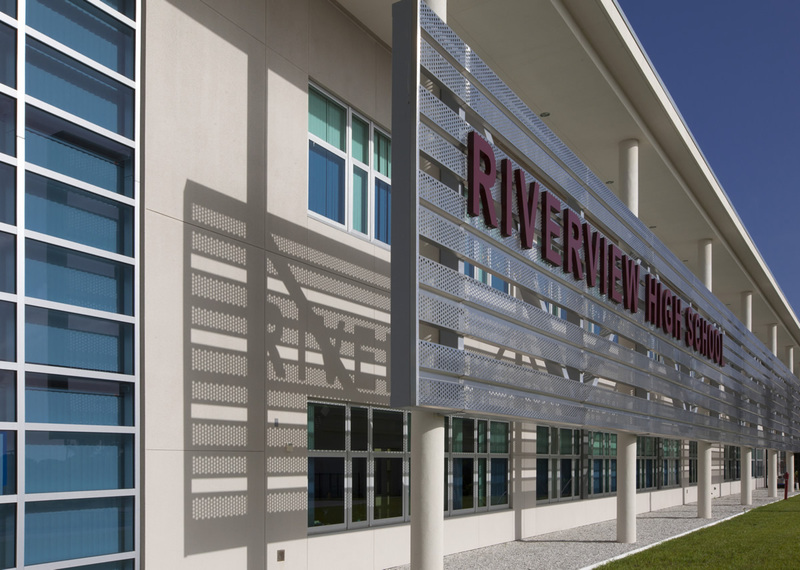 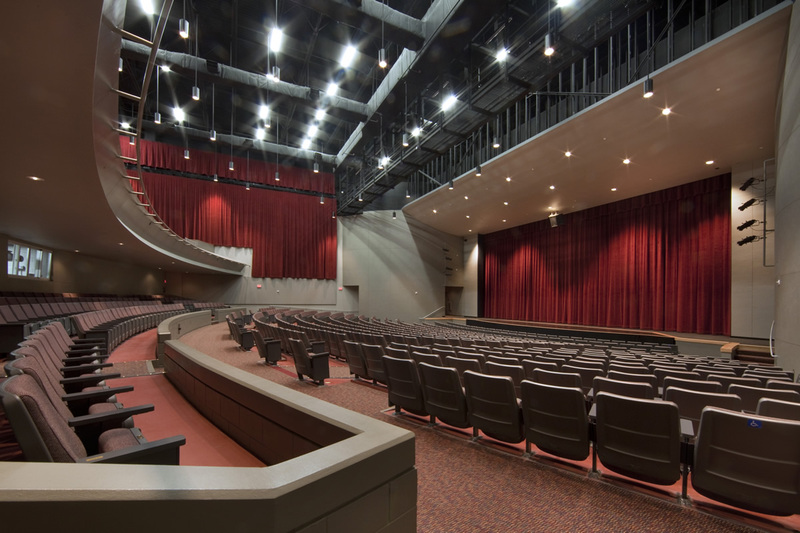 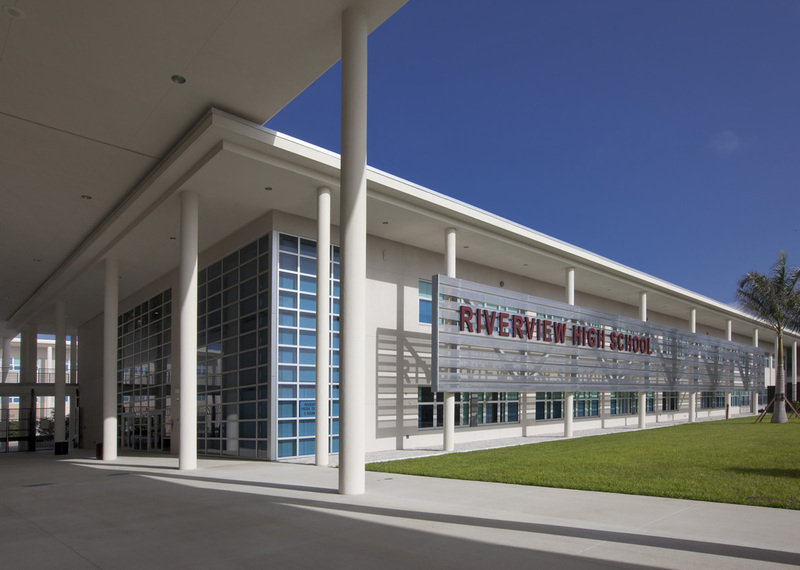 The Riverview Performing Arts Center or RPAC houses all of our school performances and activities as well as numerous community performances and events. 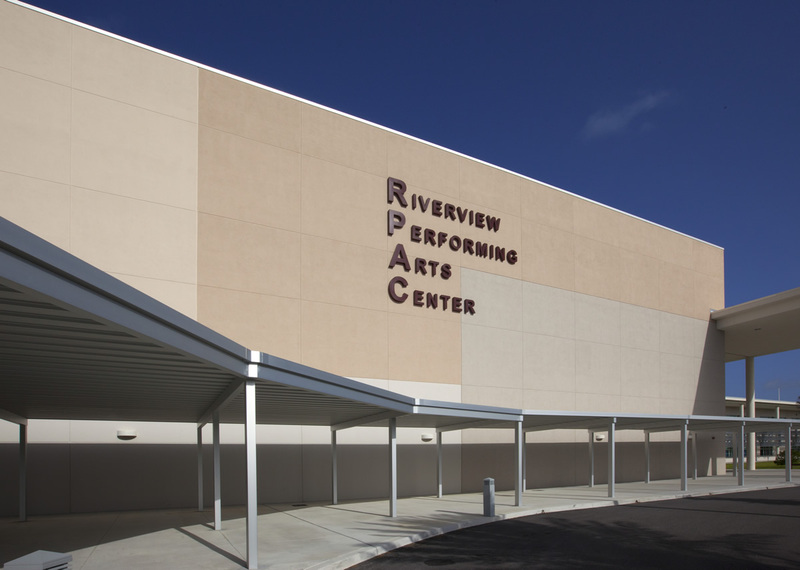 The RPAC is an ideal space for a variety of programs including: music, dance, lecture, concerts, plays and meetings. 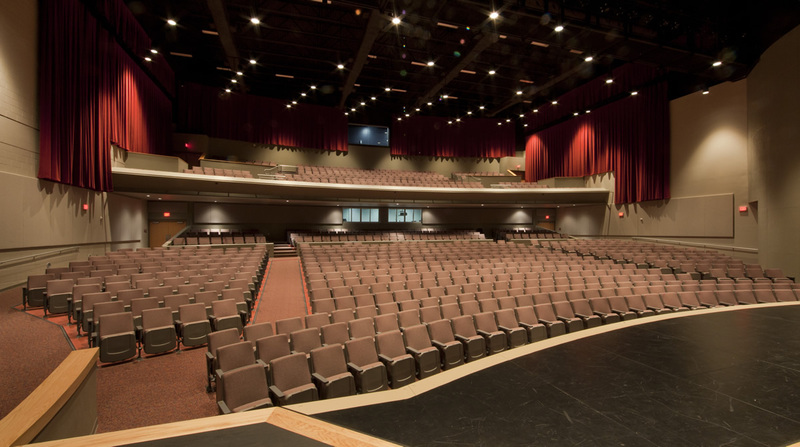 The RPAC is available for rental throughout the year. 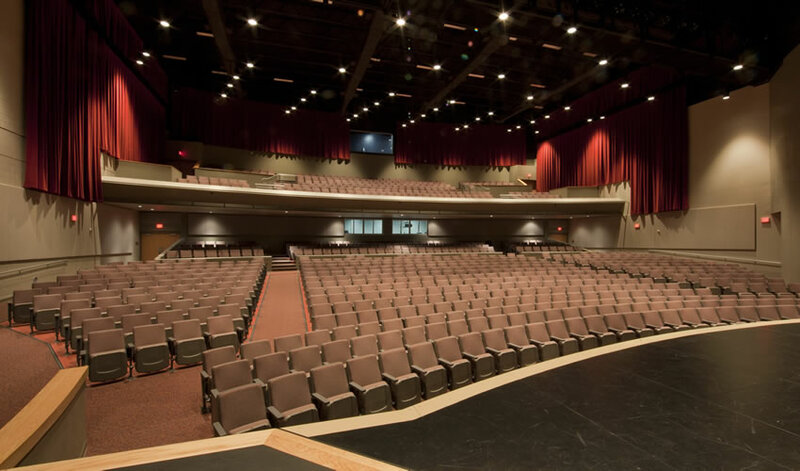 We offer a variety of services for those interested in using the RPAC for their events including lights, sound, ticketing and ushering. 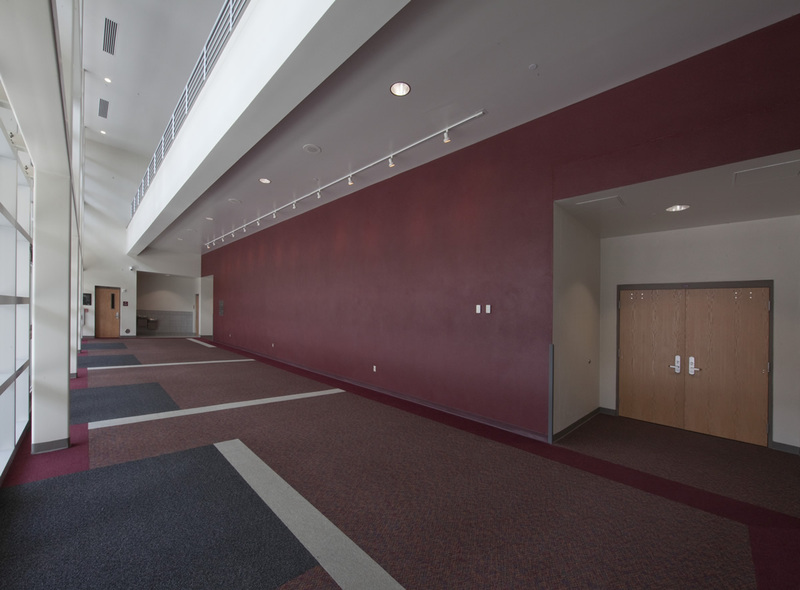 Please fill out our inquiry form if you would like more information about renting our facility. 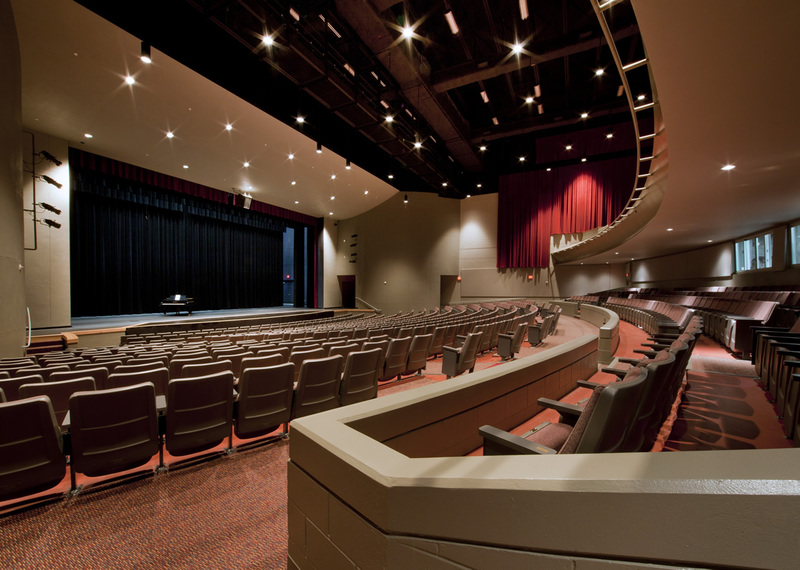 Click on the thumbnails below to view detailed photos of our campus and auditorium.